The Chamber hosted a Federal Budget Breakfast round-table with MP Sean Casey this week at the Holman Grand Hotel. During the event, MP Casey presented budget highlights of interest to local business. 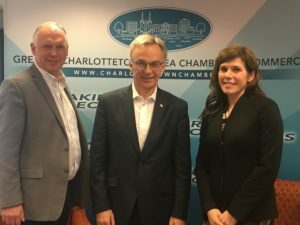 His presentation was followed by a Q&A session with Chamber Executive Director, Penny Walsh McGuire. 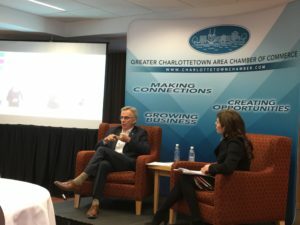 Questions for MP Casey focused on the federal deficit, small business tax reduction, dual EI zones, federal investments for entrepreneurs, and NAFTA negotiations.